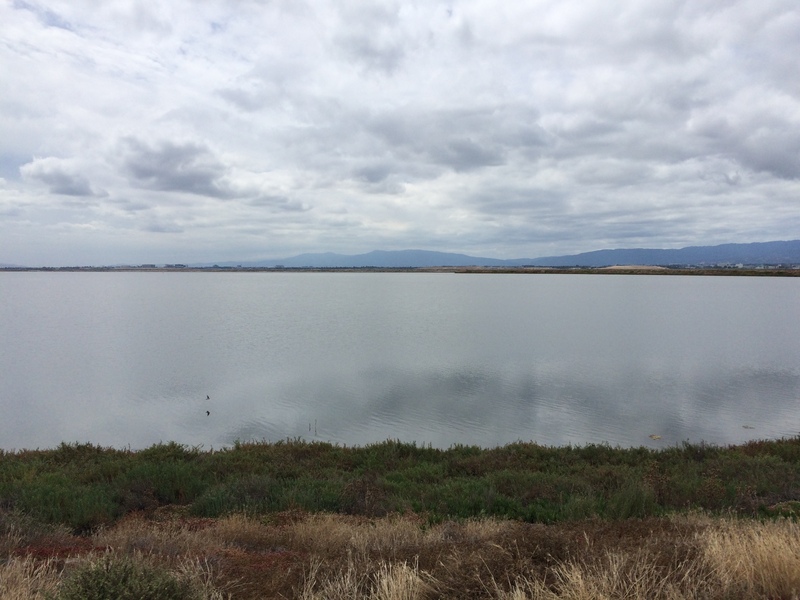 These ponds form part of the Don Edwards San Francisco Bay Wildlife Refuge, that extends around most of the lower part of the bay. 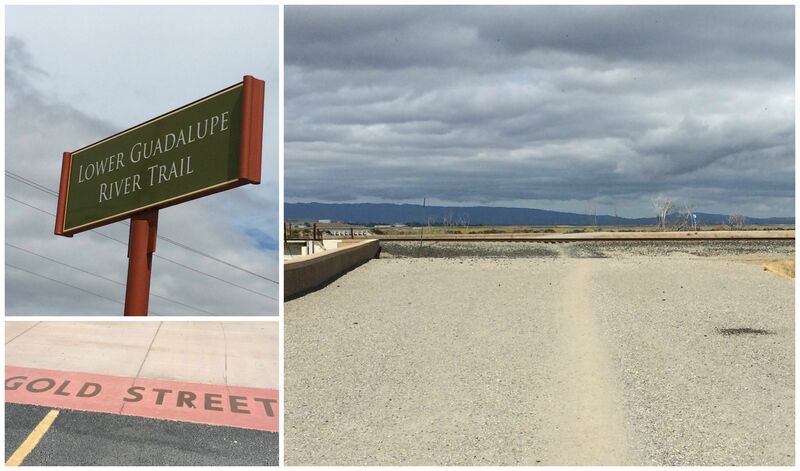 The start of this ride is the northernmost end of the Lower Guadalupe River Trail, where it meets Gold Street. 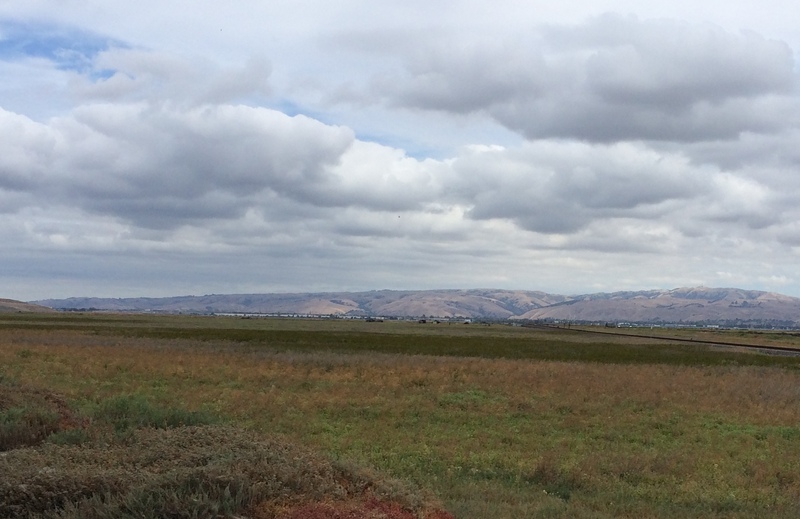 If you look across the road at this point, a gravel track leads across the railroad tracks to the public shore, a gravel trail that will take you to the Alviso Marina County Park parking lot. Be careful when crossing the tracks that you check for oncoming trains, but you can’t miss them…. they are kinda loud! It is an Amtrak line, so has limited train traffic. Once at the Marina cycle through the parking lot towards the entrance, then out towards the trail. 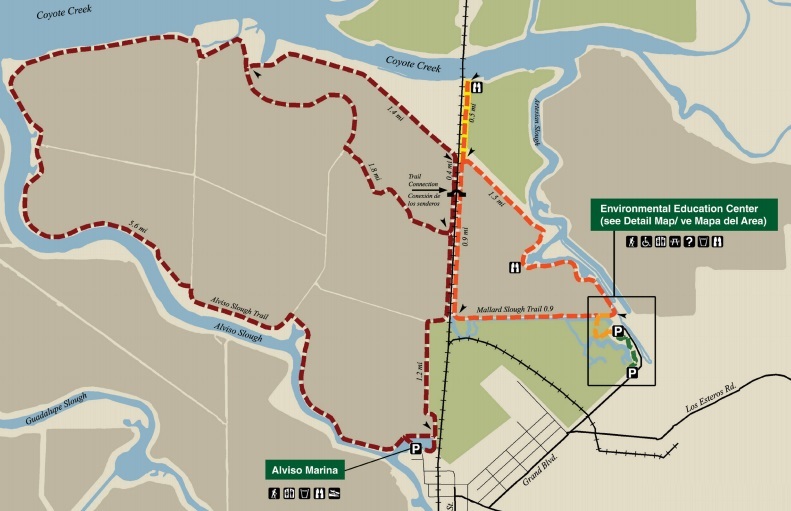 I cycle to the end of the trail first, which adds almost another 7 miles total. 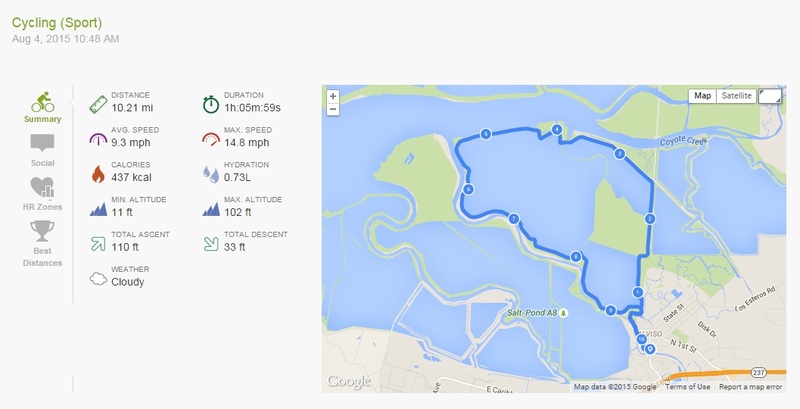 It was slightly overcast yesterday, with a bit of a breeze, which can make the cycle a little more challenging, but overall it is a flat, gentle, and scenic cycle. It is also very exposed, so I wouldn’t recommend it on a hot day, but with a breeze it keeps you cool, and also keeps the bay stink from being too overpowering! 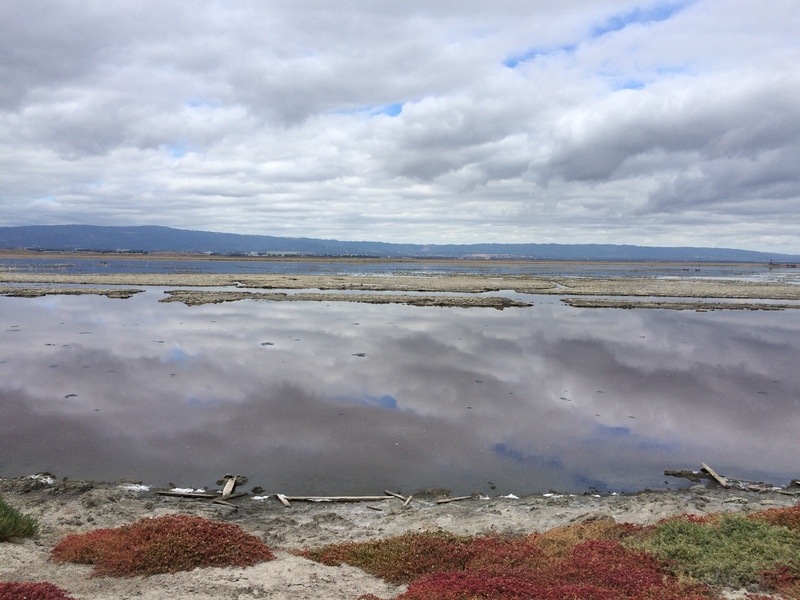 On a clear day, you can see the hills and mountains all around the bay, and their reflection in the water. Also, on a clear day if you look north, up the train lines, you can see some of the remains of Drawbridge, an old abandoned railroad station and ghost town, just hanging out there by the train tracks, and slowly sinking into the mud. Sanborn County Park. AKA that time we almost got lost in the woods.